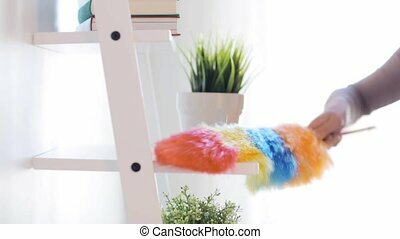 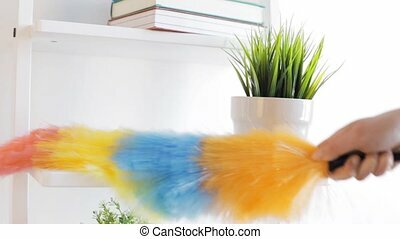 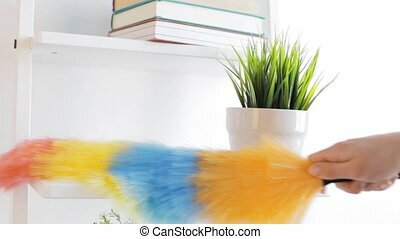 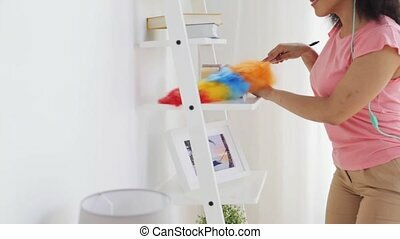 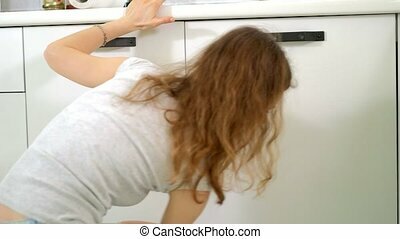 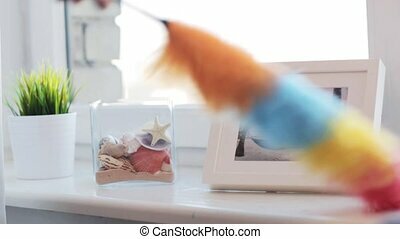 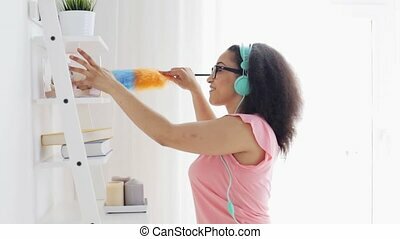 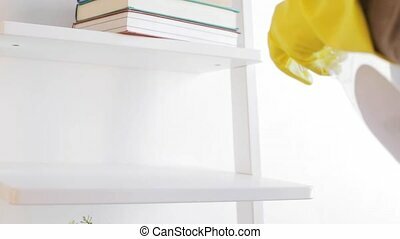 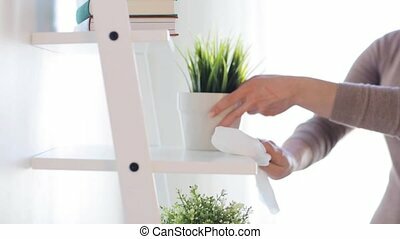 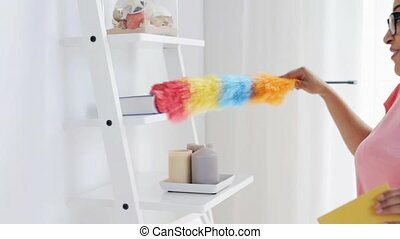 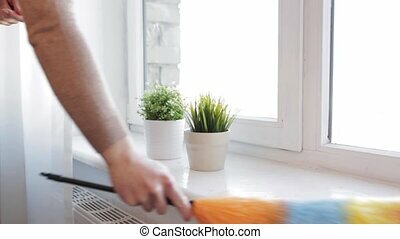 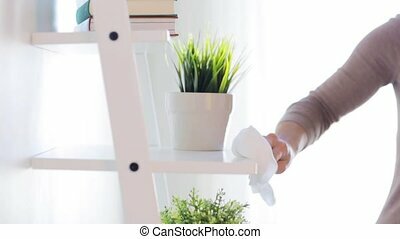 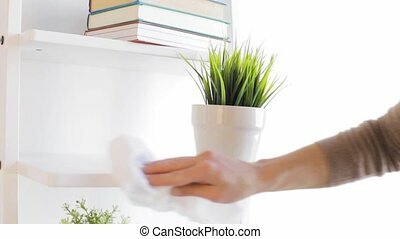 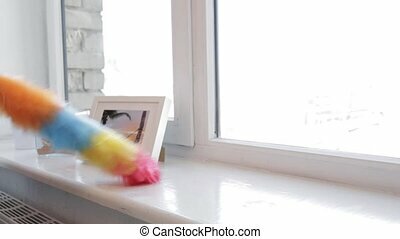 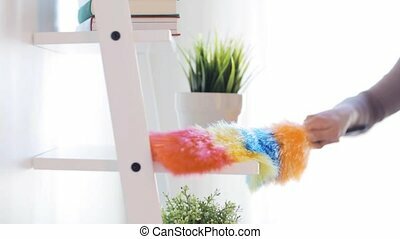 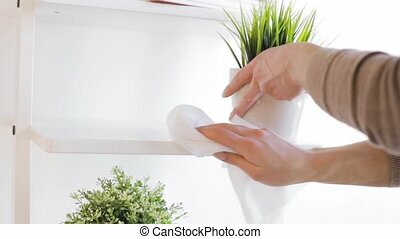 People, housework and housekeeping concept - woman with duster cleaning shelf from dust at home. 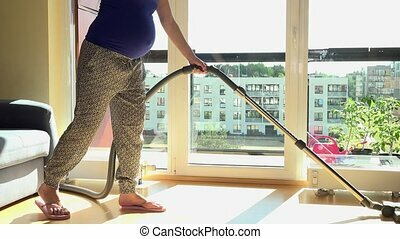 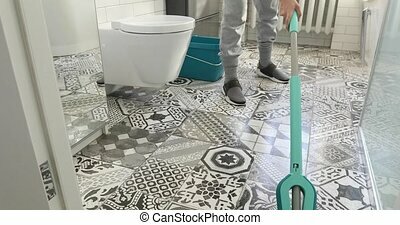 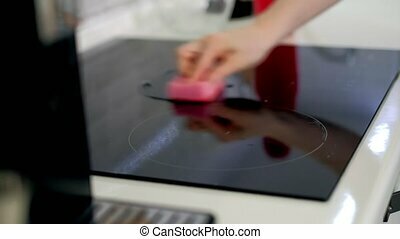 Careful pregnant woman clean dust at home. 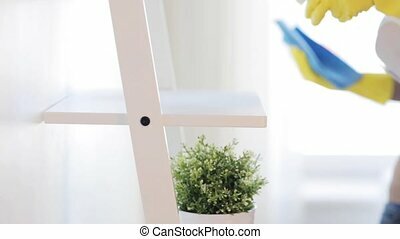 Static closeup shot.